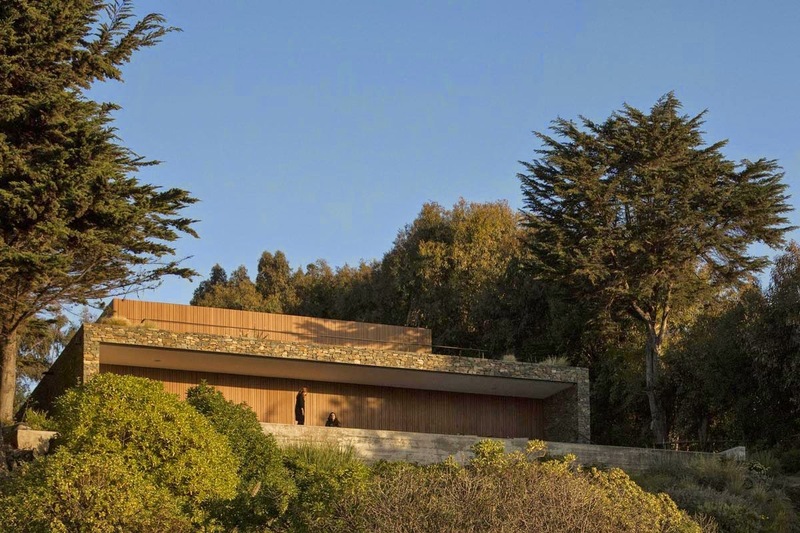 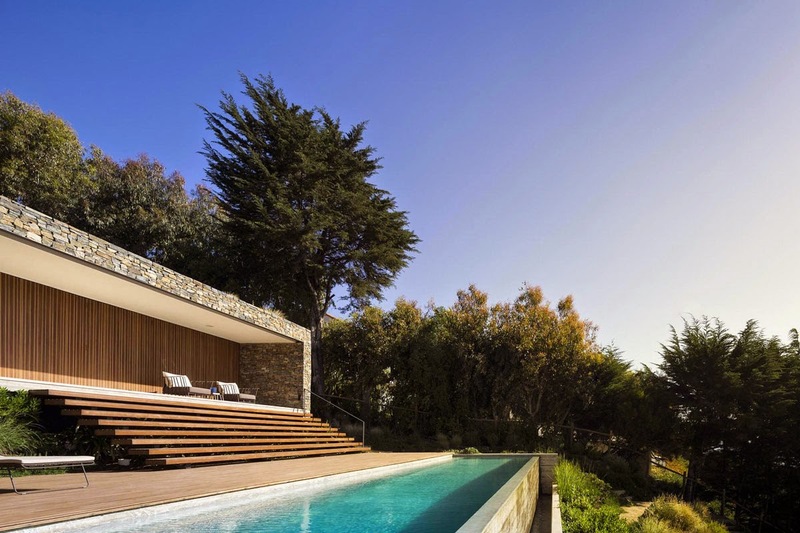 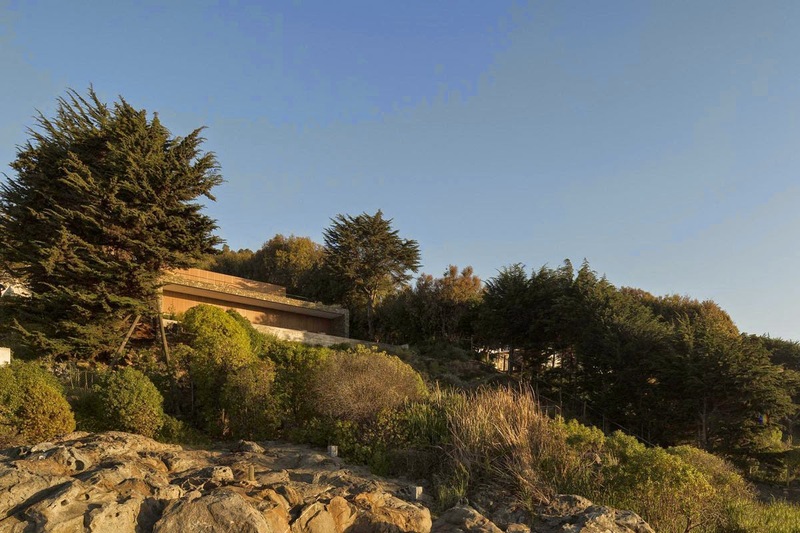 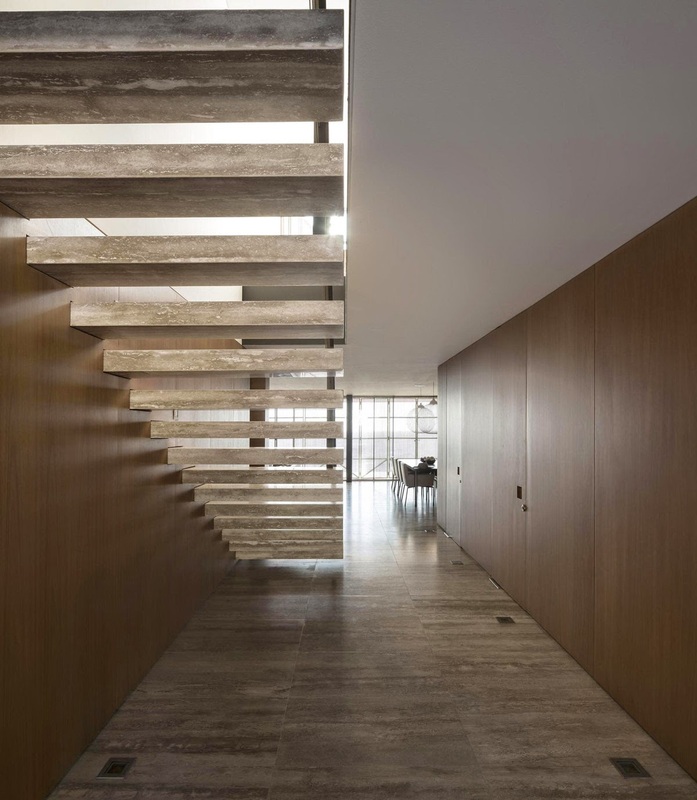 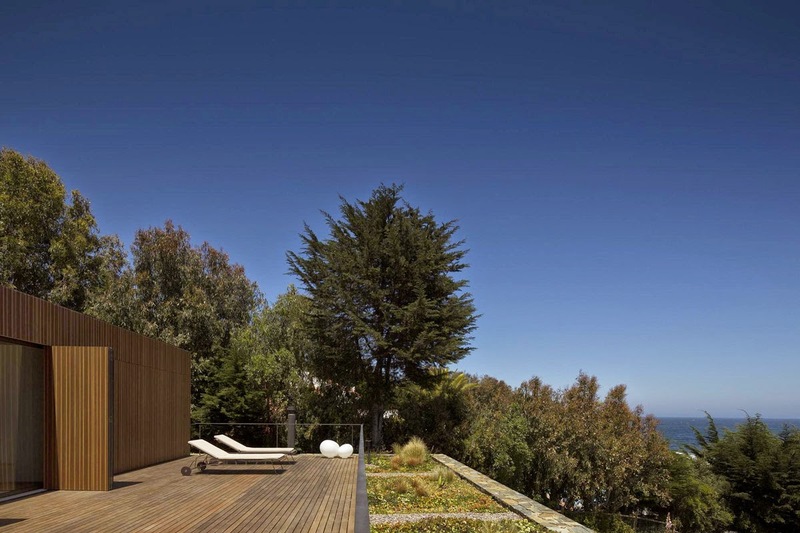 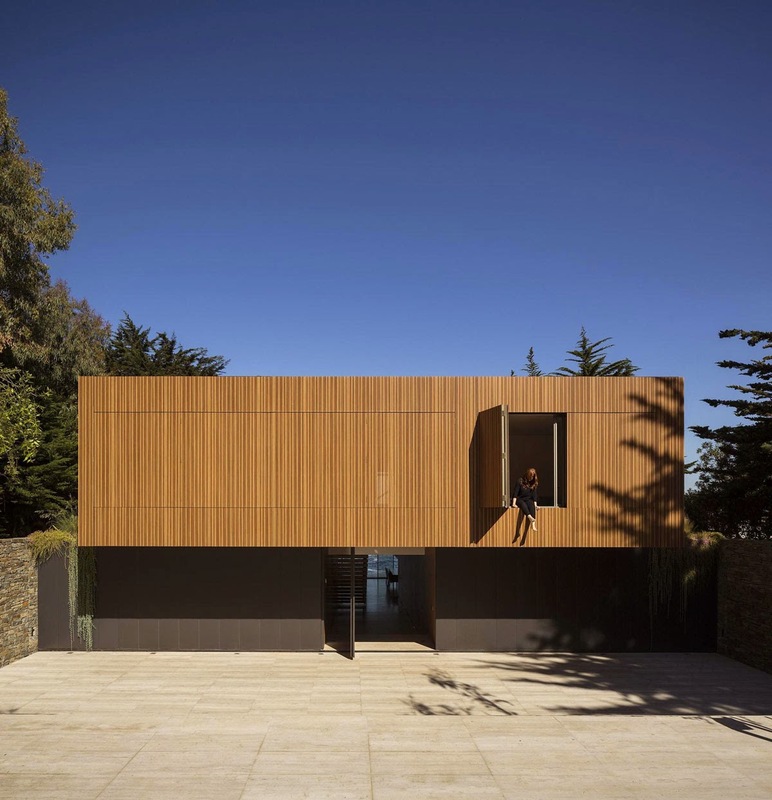 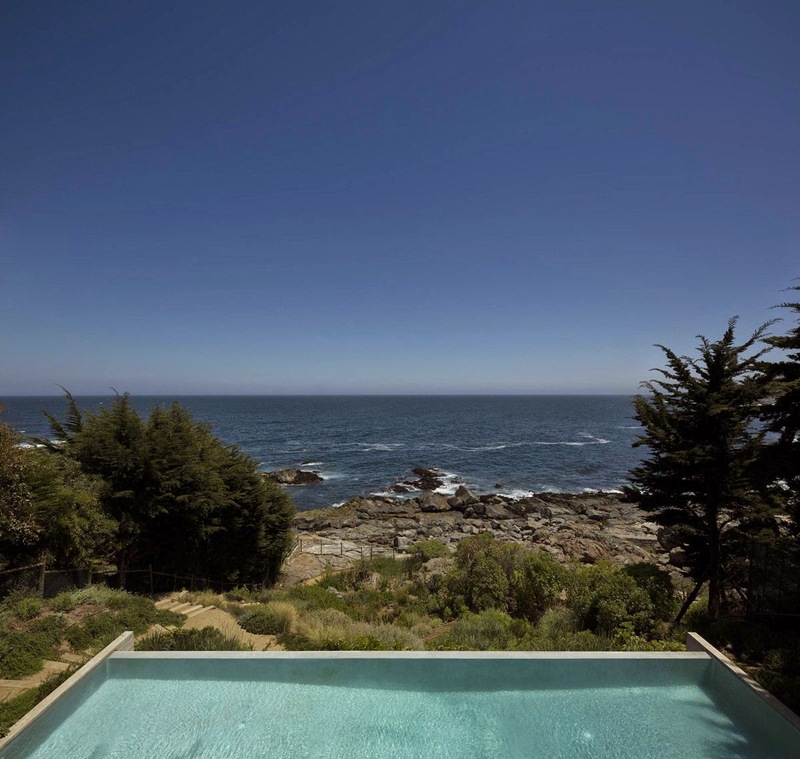 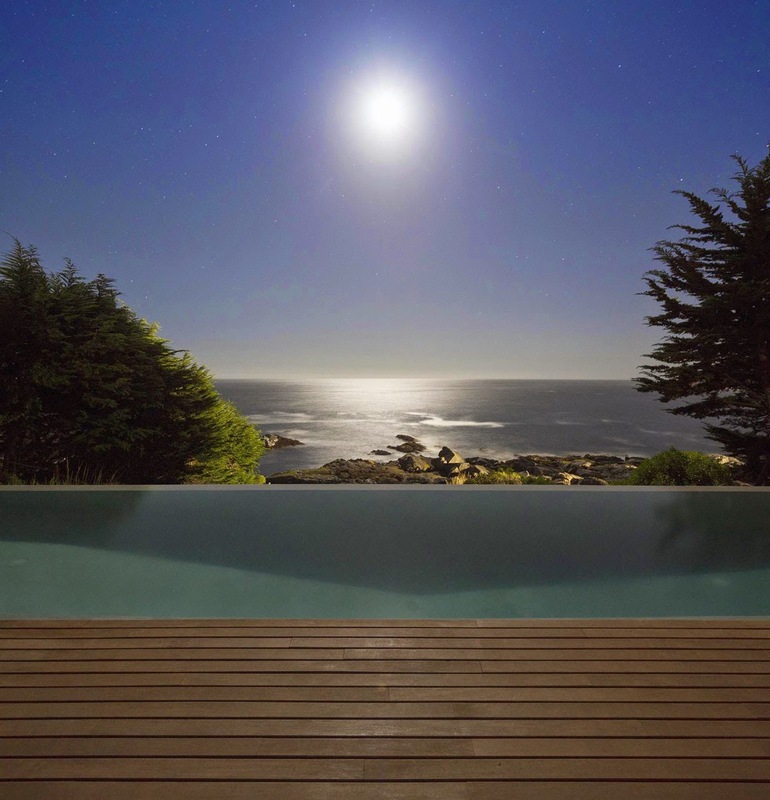 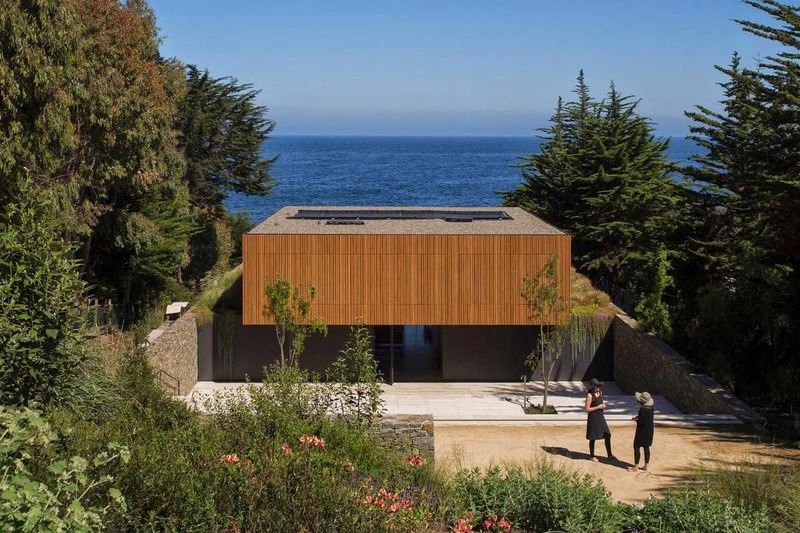 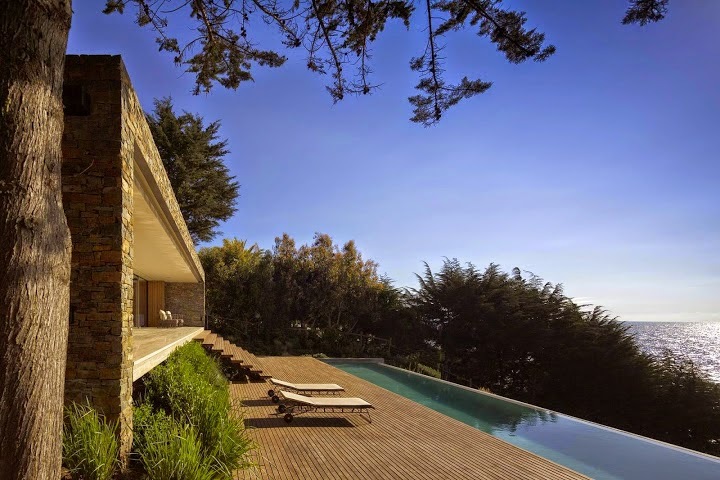 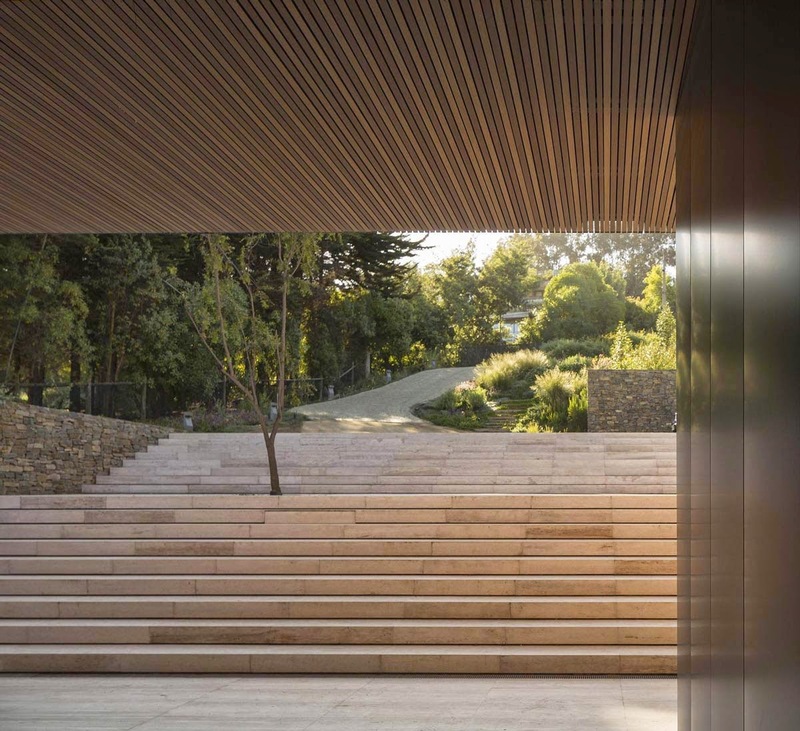 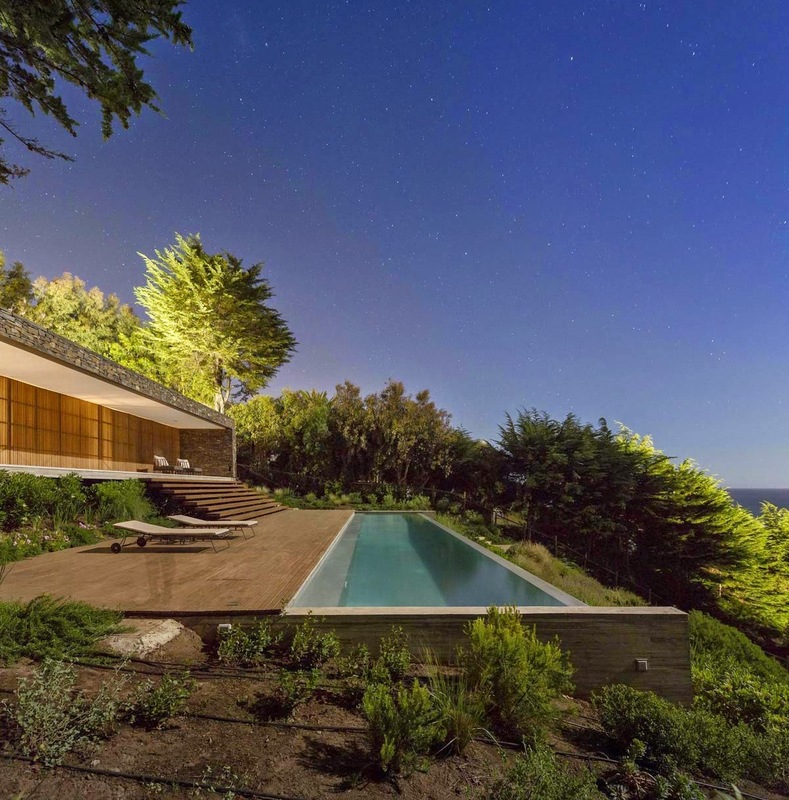 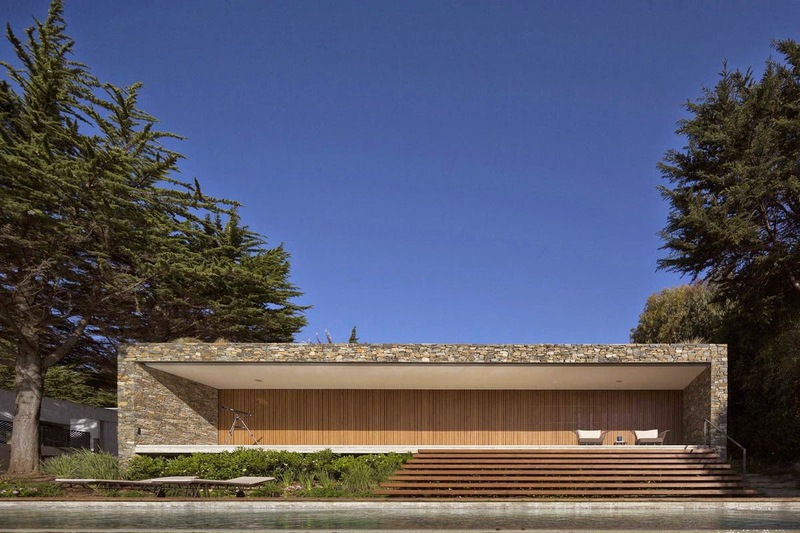 Studio MK27 of Marcio Kogan together with chilean architecture firm 57Studio designed Rocas House in El Pangue, Zapallar, Valparaíso Region, Chile. 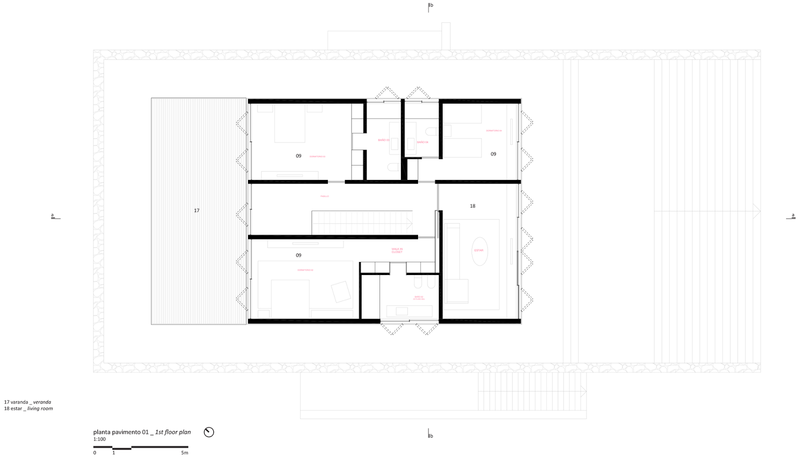 Insertion of the project on the site. 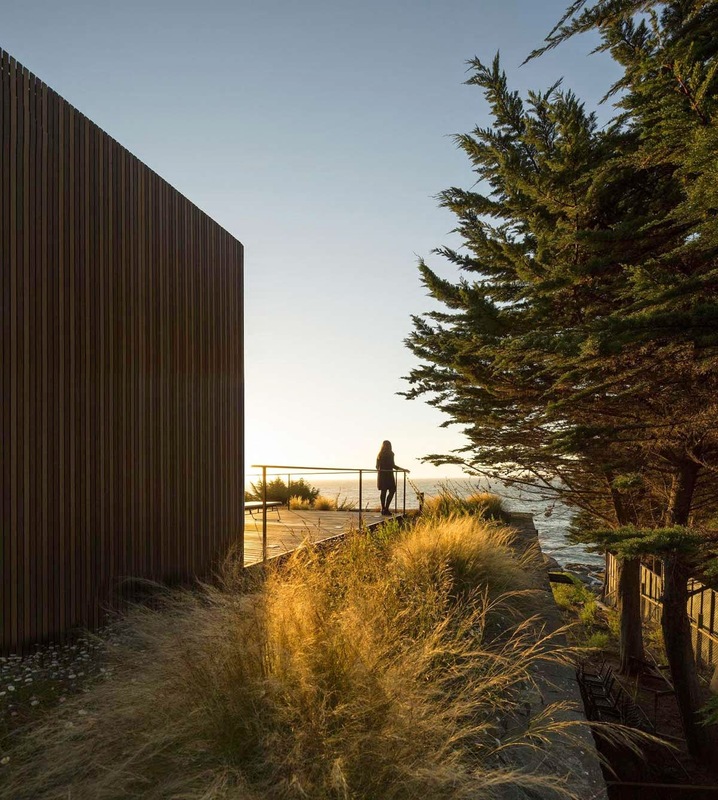 The implantation was designed as gentle as possible, in order to preserve the level difference of the site and the views. 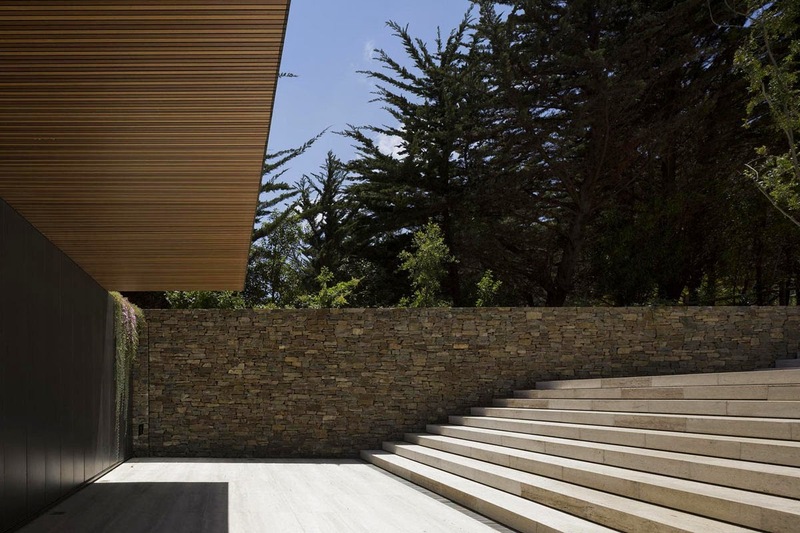 We created two side stone walls, like a programmatic box with the social and service areas of the house. 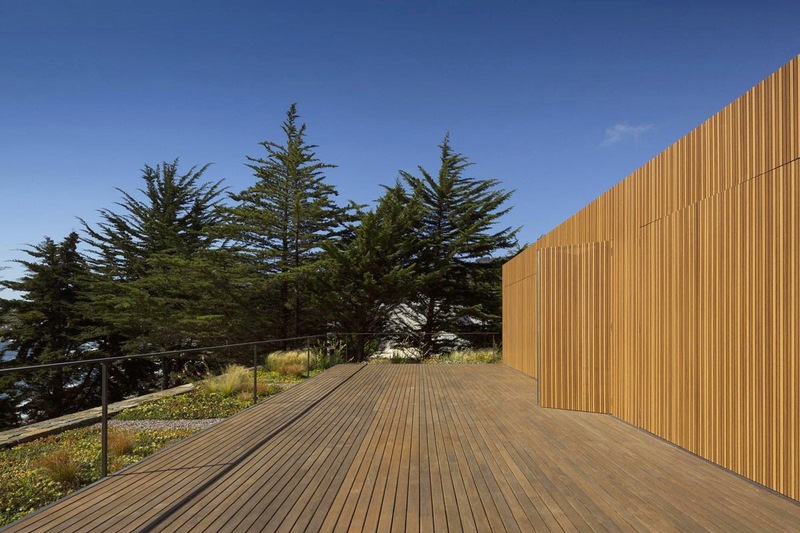 The starting point for the project was to preserve the views of the site. 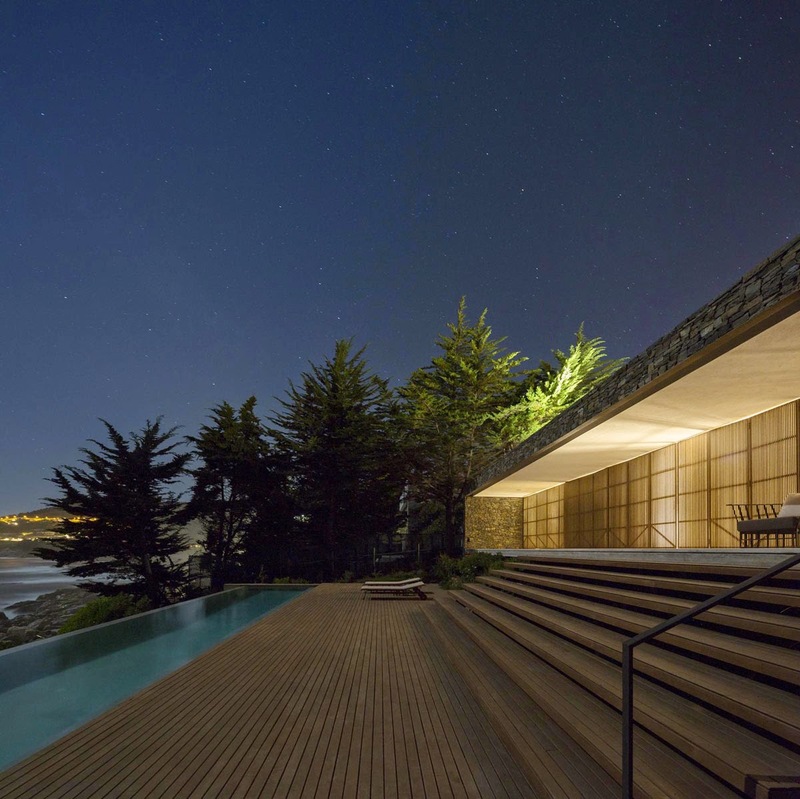 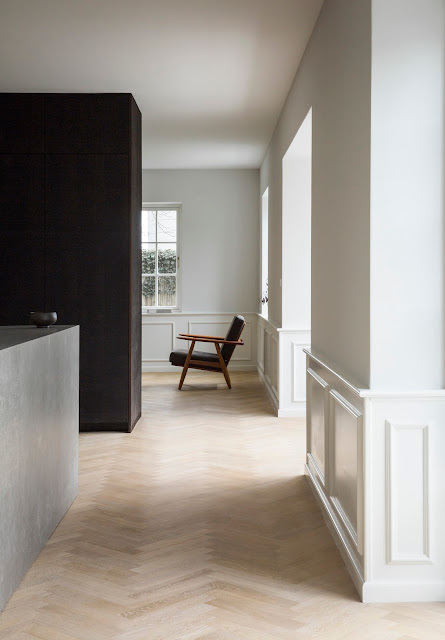 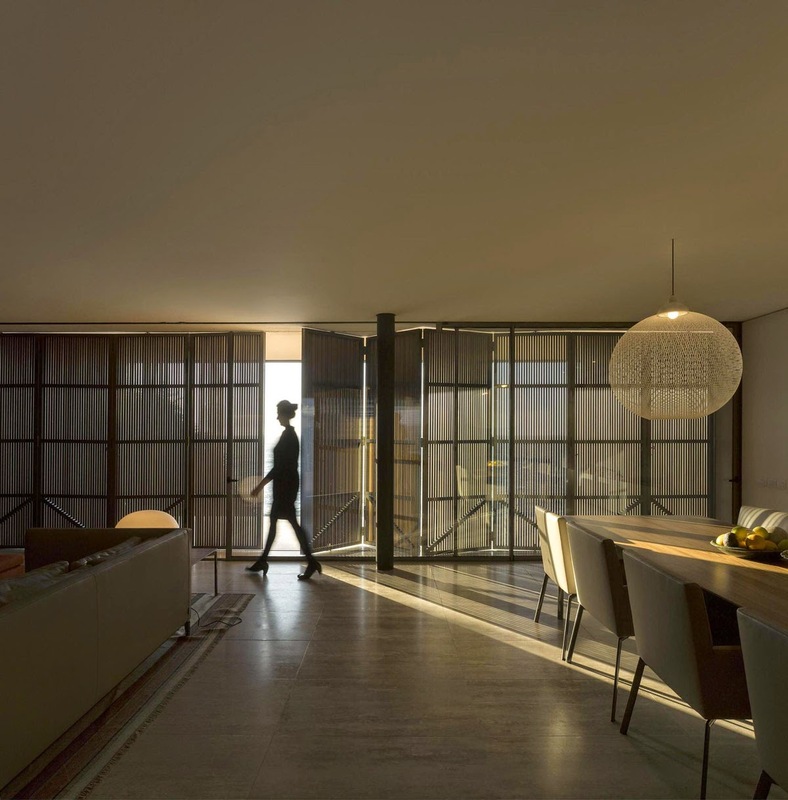 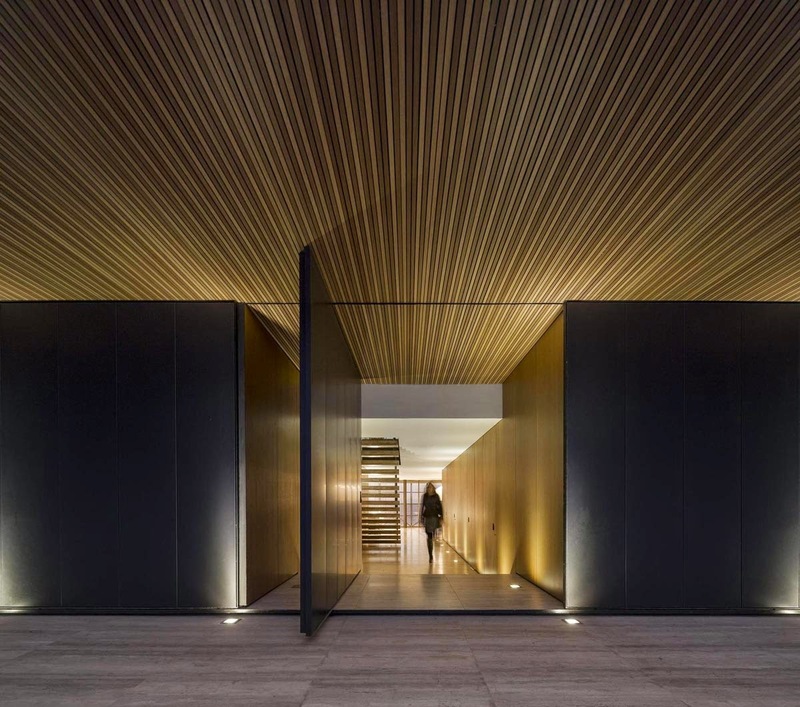 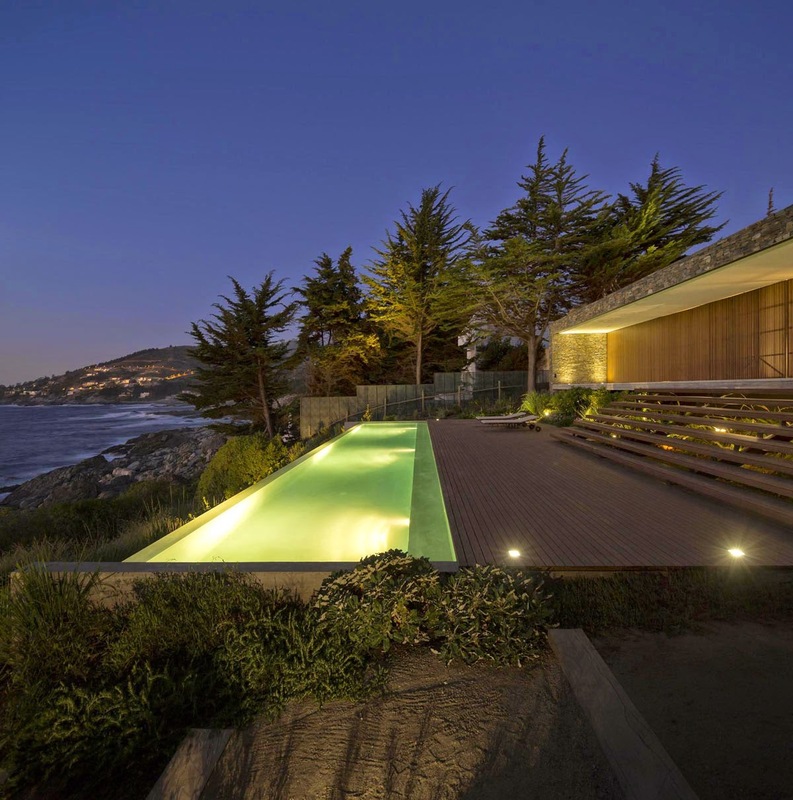 The house becomes a “tray” to contemplate the horizon, allowing one to observe the ocean from all the main rooms.